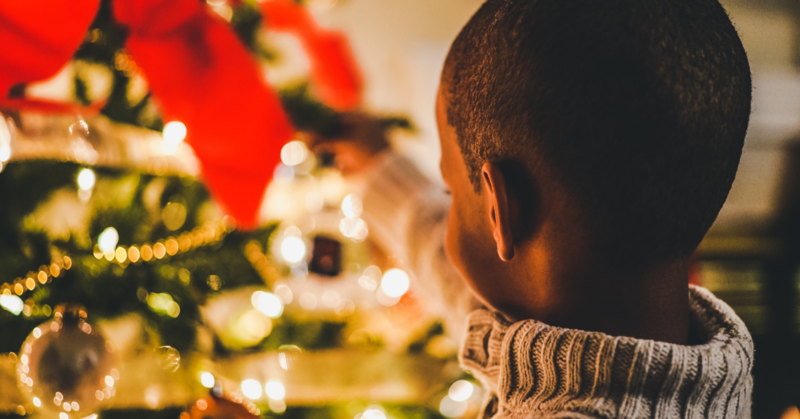 Trim the Christmas Tree -Whether you are cutting one down or putting up an artificial one, memories can be made decorating the tree together. You can even spend time together making homemade decorations like popcorn garland, paper snowflakes, and glitter glue pine cones. Decorate a Gingerbread House - You can buy a kit and build together, or if you are baking-inclined start from scratch and enjoy eating your building materials along the way. Watch Holiday Movies - Some classic holiday movies are A Charlie Brown Christmas, Rudolph the Rednosed Reindeer, and Frosty the Snowman. For older children or young adults we can't forget about How the Grinch Stole Christmas, A Christmas Story, Home Alone, and of course, ELF. Read Classic Christmas Stories - There are many Christmas stories out there, but some of our favorites are 'Twas the Night Before Christmas and The Polar Express. Bake Christmas Cookies - Buy the cookies in a tube at the store, or bake them from scratch and use Christmas cookie cutters. Enjoy decorating them with frosting and sprinkles! Christmas Lights - Hop in the car or walk around the neighborhood and admire the Christmas lights. Enjoy a cup of hot chocolate and stir it with a candy cane. Visit Santa - This is one of our favorite childhood memories. Make sure to take a good photo, or enjoy the blooper reel. Either way, memories are sure to be made when you visit Santa! Write Letters to Santa - Make sure to put together your Christmas list for Santa and get it in the mail before Christmas Eve. Here are some tips on where to send those letters. Create an Advent Calendar - Find a fun way to count down each day to Christmas. Hide a treat to enjoy each day or make a countdown to Christmas paper chain and take a ring off the chain each day. Mistletoe - Make sure to steal a kiss under the mistletoe! Christmas Card - Get the whole family together in cute holiday gear or ugly sweaters and take a picture to send to family and friends. Christmas Dinner - Make the same food on Christmas Eve or Christmas Day each year. Christmas Eve - Open just one gift, or get matching pajamas for the kids (and parents) to wear!